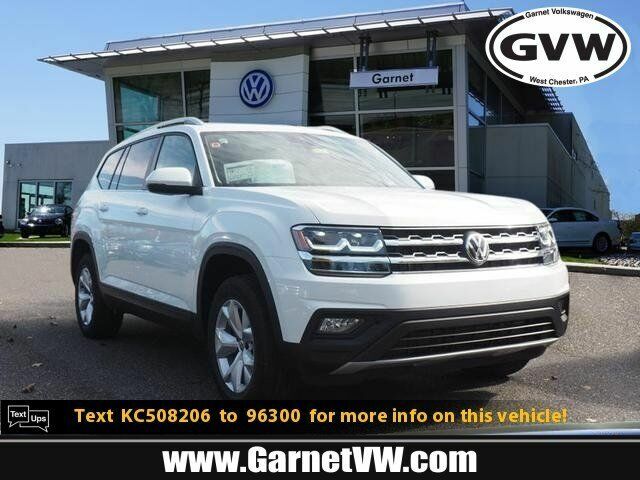 People everywhere will love the way this 2019 Volkswagen Atlas V6 SE 4Motion drives with features like a rear air conditioning, push button start, remote starter, backup camera, blind spot sensors, Bluetooth, braking assist, dual climate control, hill start assist, and stability control. It comes with a 6 Cylinder engine. This one's available at the low price of $41,124. With an unbeatable 5-star crash test rating, this SUV AWD puts safety first. Rocking a beautiful white exterior and a black interior, this car is a sight to see from the inside out. Call today and take this one out for a spin!